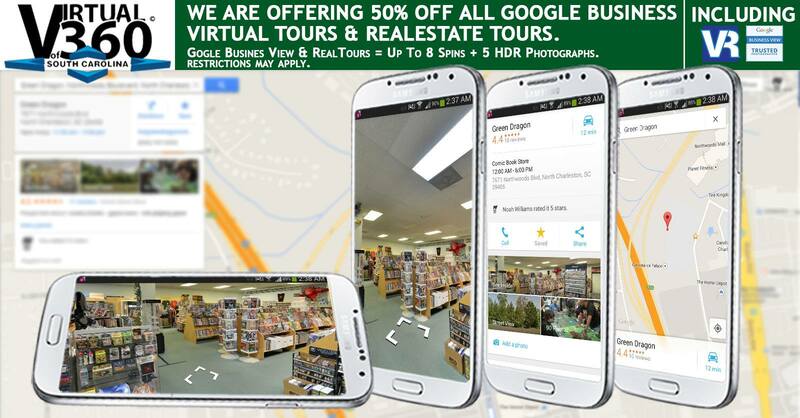 Google Street View Invite the public into your business 24/7. Showcase what you offer and how everyone can get your products or services. Photography We built our core on learning the essentials of photography. Still images use to be all the rave. Now it's more interactive than ever. 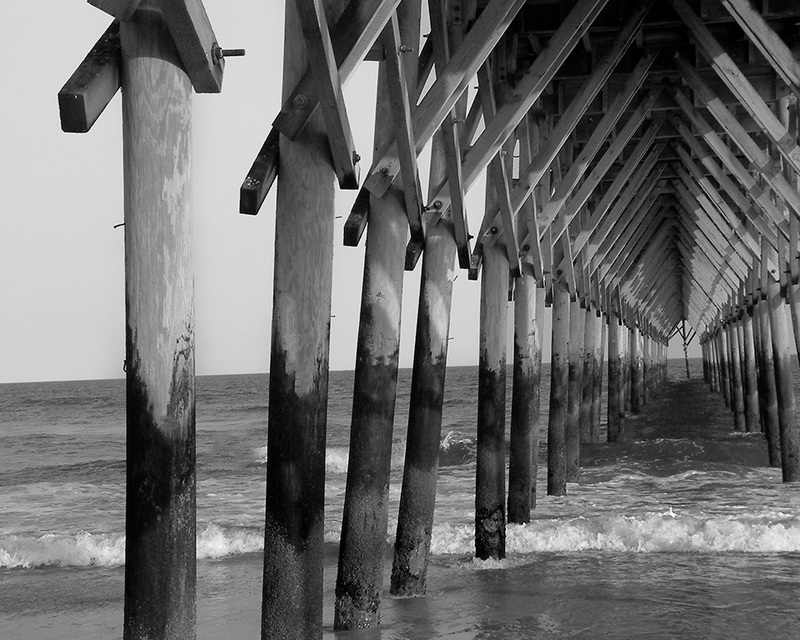 Virtual 360 of SC was started on a concept that Digital Photography wouldn't just be static or motionless. The administrative interface offers a t's time! let's show the public what your business looks like inside WITHOUT them actually walking inside the store. Let them tour around virtually, anywhere in the world. We can garantee a 12 hour or less verification process for ANY Google + Page. Companies get placed on the Google Maps every 10 minutes but it never takes just 10 minutes to place their Point of Interest or POI on the map. First you have to make sure your business qualifies to appear on Google Maps and it follows the guidelines of a Google + Page. Second you have to make sure you are not already on Google Maps. If you are for some reason that Google Plus page verification just got alittle harder. After these two are fine and you're able to move on you can then enter ALL the neccessary information. This can be done by your company or we can place your business in there (for a slight FEE). This leads us to the final process of verifying that you are the business owner and the business is in the correct location. The following are 4 different verification processes a business could choose but most of verifications are not available or the business type must meet specific guidelines. The "verify by postcard" , which most businesses use to verify, usually takes up to a month to process. The length of time is usually because of the printing of the postcard and the maili. 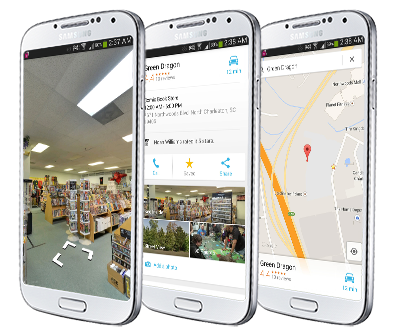 As a Certified Google Street View Photographer we are trusted individuals by Google and certified to photograph Street View's see inside portions of Google Maps. As a Certified TourDash Reseller we have the unique privilege to place content such as menus, links, videos and more, on top of beautiful Google 360 degree panoramas. Now we can offer a special price for a gold membership package of TourDash and a Bronze Google Business Photos Virtual Tour. Other Good Embed solutions are Walk InTo & Tour Make. Adding a location on the Google Maps is harder than one would think. Google lets you place your location / company on Google +, Google Local and your business on Google Maps. We can assist and make sure all search catagories are correct and that you'll show up if a person is searching for you! We had Noah Williams do a 360 Virtual tour of our shop the Green Dragon in North Charleston and he did a superb job. I am still amazed. Noah did an amazing job with the Google Virtual tours for King Street Grille. Every business should have these.